I had a wonderful Easter with my Aunt Ann and Uncle Daryl, and of course we ate way to much food!! 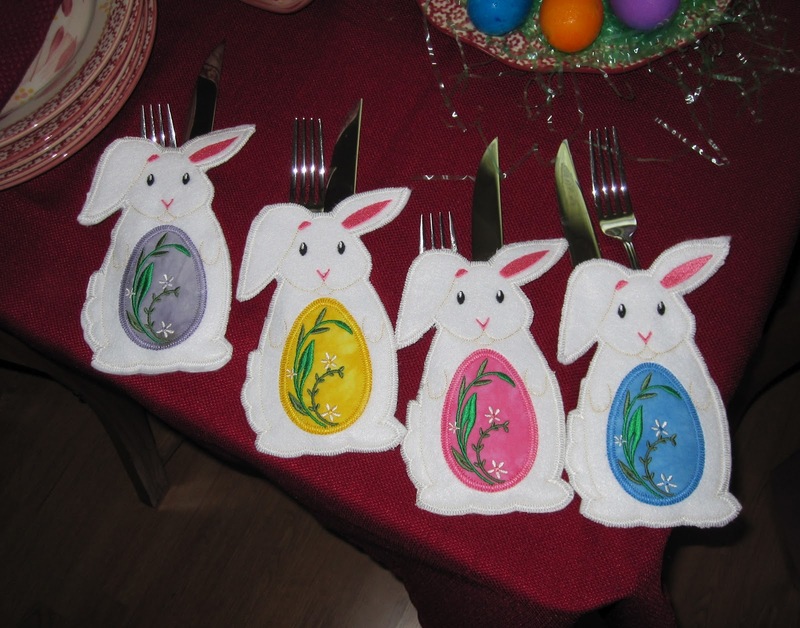 I made these bunny silverware holders for our place settings. All the fabric for the center eggs was from my hand dyed stash, except for the pink one. I had a very special gift to give my Aunt. 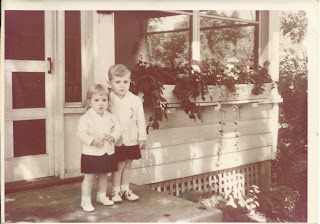 This is a picture of my Aunt Ann and Uncle Denny. 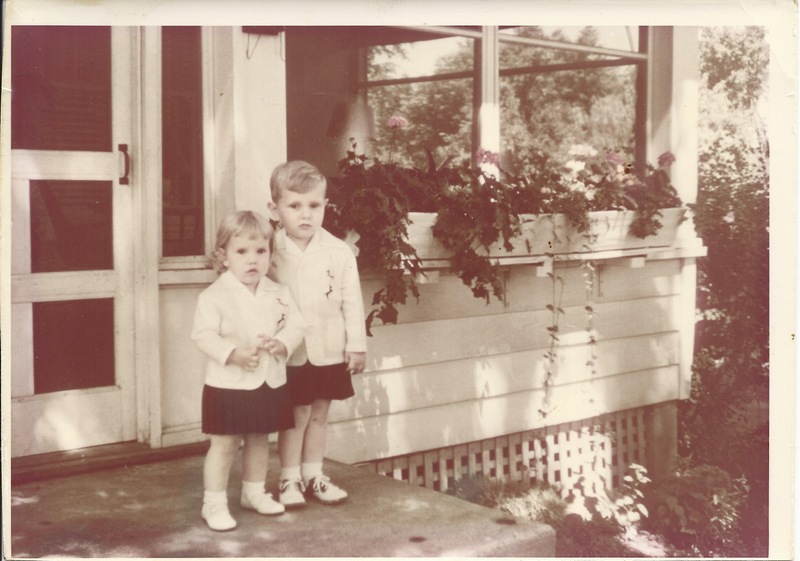 It is one of my Aunt's favorite pictures. 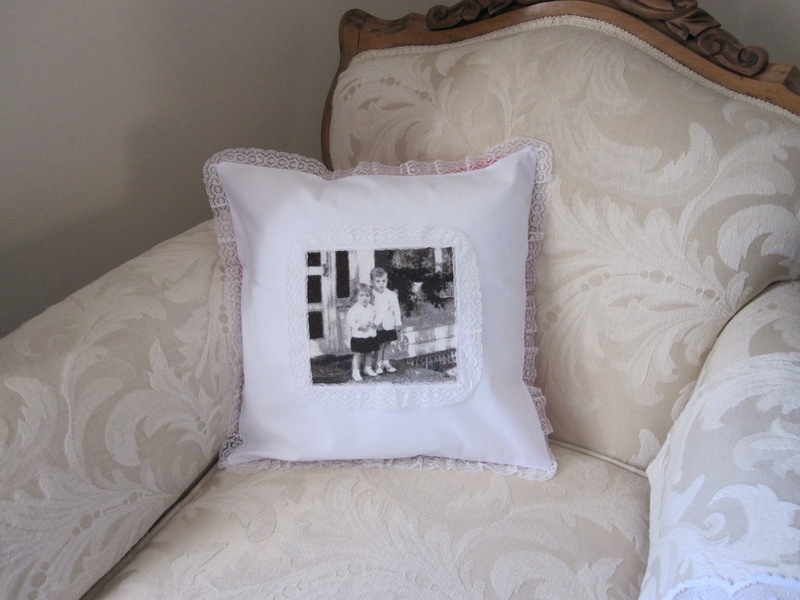 I took and made the image into an embroidery and made a pillow out of it. Yes that is all thread in the middle there! Over 112,400 stitches with 20 different colors that took over 10 hours to complete! The bunnies are cute, but that embroidered photo is fantastic! What a wonderful gift. 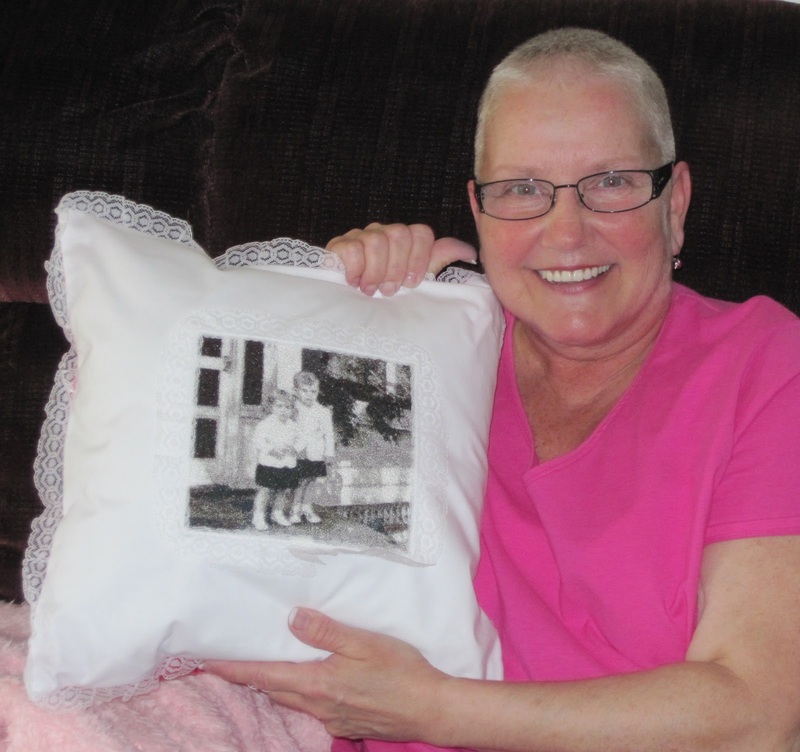 Thanks Terri, I was so happy to give this gift to my Aunt. She is very special to me. I love the bunnies! So cute! The portrait goes beyond awesome!! Thanks Wilma, The bunnies are very fun. I think they will be used for many years to come! That is SOOO cool, Bobbi! Did you digitize it your self? What kind of machine was the embroidery done on? Elly, I have a Husqvarna Viking Designer Diamond sewing/embroidery machine. Yes, I did digitize it with my software. My first attempt only used 14 colors and I was not too pleased with the results but increasing to 20 gave it more and better shading. I'm glad you like it!